Silverline 769992 Diamond Core Tapered Guide Drill Bit Features Diameter 8mm. Lengt..
Silverline 633556 TCT Tapered Guide Drill Bit Features Diameter 8mm. 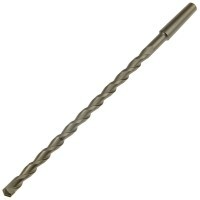 Length 100mm /..
Silverline 859575 Diamond and TCT Core Drill Extension Bar Features Use in conjunction wi..
Faithfull Taper Wedge Masonry Pilot Guide Drill Bit 210mm Features Taper wedge masonry pi..